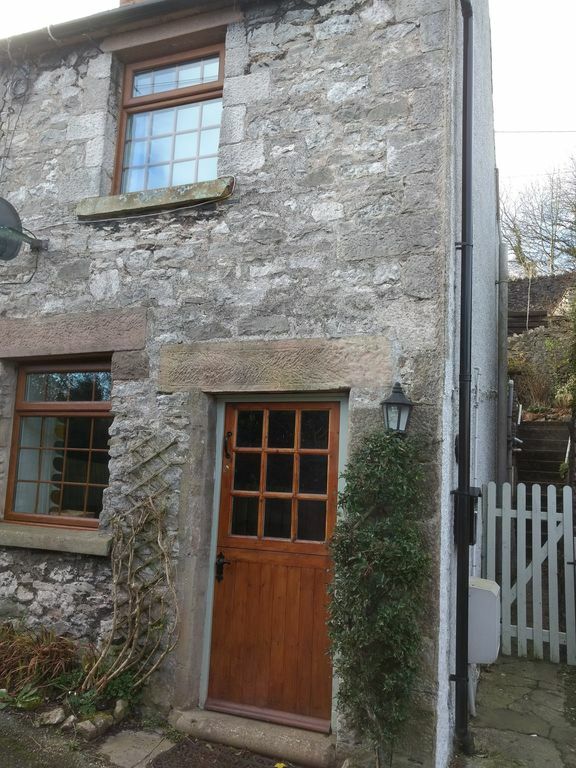 Beautiful cottage situated in the historic lead mining village of Middleton-by-Wirksworth, right on the edge of the Peak District National Park. Sitting Room, Kitchen, Shower and Toilet on the ground floor. TV with Freesat. DAB Radio. Landing area with Sofa Bed for a "plus one". Bedroom with King size bed. Bedding, towels, toilet roll all provided. Small Garden ideal for sitting out with a hard-earned drink after a day's activity! Lockable shed, ideal for storing bikes. Parking is on the main road, usually freely available. You can stop briefly outside the cottage and drop your bags off before finding a spot. Close to the High Peak Trail, ideal for cyclists or walkers. The market town of Wirksworth is 1.5 miles away and provides the usual amenities, plus a varied arts programme throughout the year. Matlock Bath and Matlock are 3 miles down the road, providing all manner of attractions, amazing scenery and fantastic walks. Ashbourne is 10 miles away, an excellent market town that serves as the southern gateway to the Peak. Black Rocks is within walking distance along the High Peak Trail and provides excellent climbing, or if you prefer, explore the footpaths through the woods up to the summit. You can follow the High Peak Trail north for quite a way, either on foot or by bike (bring your own, or hire from Middleton Top Cycle Hire centre). Eventually the trail joins up with the Tissington trail close to Parsley Hay, from where you can head south to Ashbourne. I live locally and will usually be available should you require any help or advice before or during your stay. Towels, toilet roll and handwash provided. Washing machine available for use, drying rack under the stairs. Bath, hand and tea towels all provided, for 2 guests. Seats 3, 2 on sofa and 1 on armchair. Oil, tea bags, instant coffee. All plates, dishes, cups and glasses provided. Cutlery and cooking utensils. Frying pans, baking trays etc. Fold-out table with 4 chairs is available in the Sitting room. DAB radio in Sitting room. Selection of board games, pack of playing cards and some jigsaws. Small garden up the stairs at the rear of the Cottage, with table and two chairs. Honey suckle cottage is cozy and very well situated for nice long dog walks on the high Peak trail. Brian the owner was very helpful and sorted us out with a load of logs for the wood stove. Ideal for 2 people and dogs are welcome, the only downside was the rear garden area. Very steep steps and very tricky in the wet weather when letting the dogs out. Fabulous break in a beautifully redeveloped cottage. Cosy, relaxing evenings in front of the log burner were just what we needed. My partner, me and our dog Cooper thoroughly loved it and would definitely visit again. Great to hear you enjoyed your stay Mark. Thanks for the review! A lovely little cottage. A perfect escape! This lovely little cottage is tucked away on a side street so no passing traffic. It looks as if it was recently renovated and everything is in good condition. Central heating as well as wood burning stove so nice and cosy in the winter too. Under floor heating in the bathroom a plus!! Lots of places to drive to but we just did walks from the cottage. Rising Sun pub about 5 minutes walk away: very welcoming and a good menu.